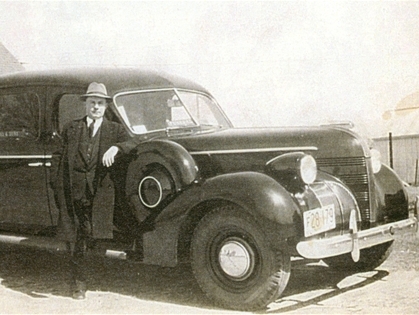 Mr. William Harry Hutchins “Hutch” beside a 1939 Pontiac Hearse. 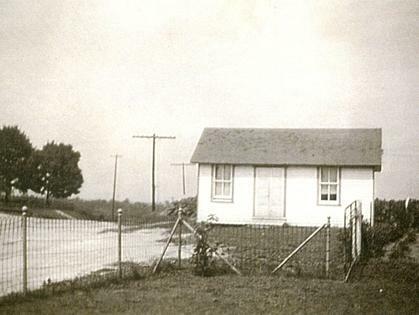 This is the original funeral home building in Owings in 1942 when it was owned and operated by the Hutchins family. The road to the left is a portion of the old unpaved Solomons Island Road, Maryland Route 2, now part of Mt. Harmony Lane. Mr. Winfield “Winks” Hutchins, a longtime funeral home employee and cousin to Hutch Hutchins. 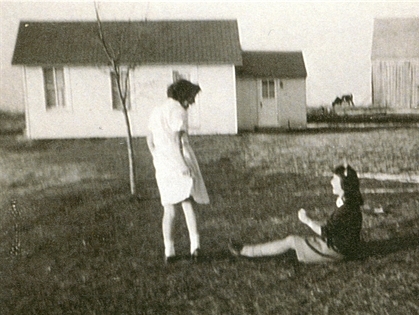 Margaret Hutchins (Phipps) and Jane Lyons in the late 1940’s. 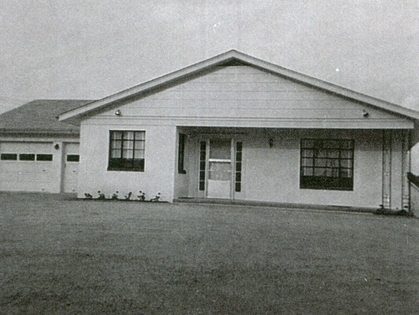 The funeral home building is in the background with the addition of a preparation room in the mid 1940’s. 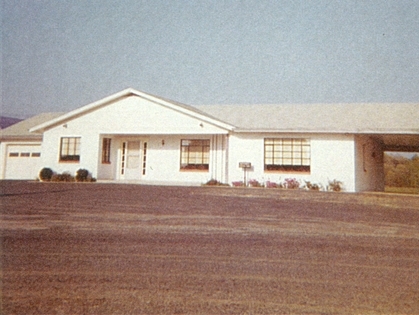 Hutchins Funeral Home in 1962 with carport added. John O. 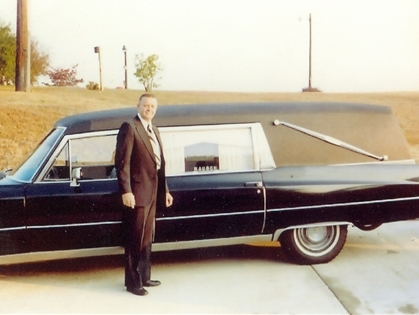 “Onie” Rausch and 1976 hearse. 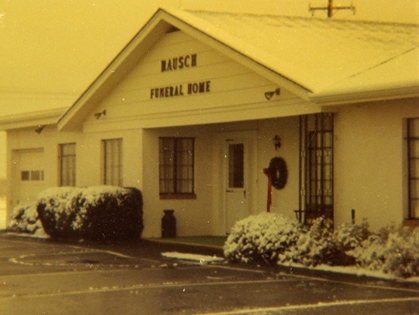 Rausch Funeral Home in the winter of 1977. “Winks” Hutchins and John O. “Onie” Rausch, March 1979. John and his wife Myrtle purchased and began renovating the facility in 1974. John O. 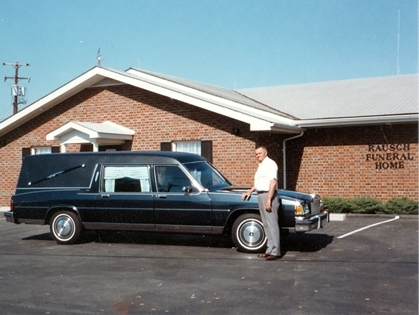 “Onie” Rausch and a new hearse in the summer of 1985. 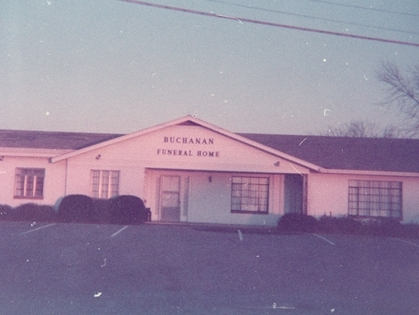 Rausch Funeral Home in the Spring of 1987. 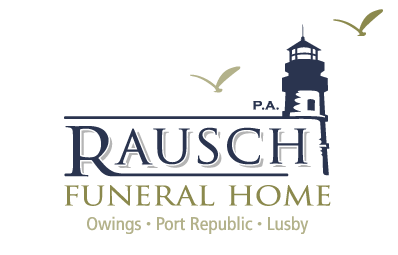 The company known today as Rausch Funeral Home, P.A. began in 1974 when John O. Rausch and his wife Myrtle purchased, expanded and built their home onto the Buchanan Funeral Home located on Mt. Harmony Lane in Owings, MD. The funeral home business was established in the mid 1800’s by Francis William “Mr. 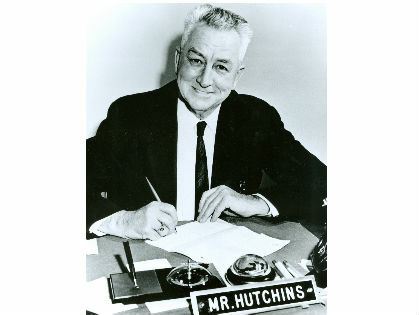 Billy” Hutchins, and remained in the Hutchins family name until 1969 when the business was sold to A. Kent Buchanan by William Harry Hutchins, Jr. at the time of his retirement. John’s daughter Barbara “Bobbi” Rausch followed her father into the business as a licensed funeral director in the 1970’s, and his son-in-law Bill Gross, also a licensed director, came into the business several years later. Rebecca Gross, Bill and Judy’s daughter, joined the business as a licensed funeral director in 2009. 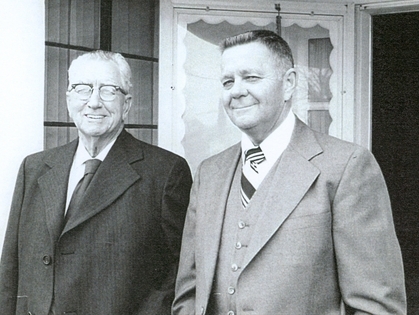 In 1989 the Rausch family purchased the Borgwardt Funeral Home in Port Republic from Donald Borgwardt. This facility was originally owned and operated by the Harkness family, and for several years prior by Robert Beall. 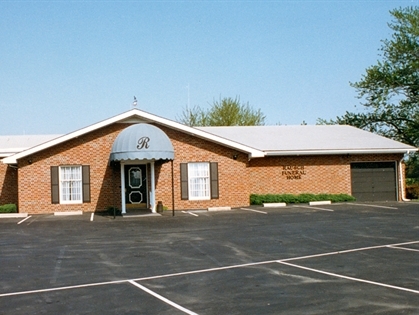 In 1992, upon John’s retirement, the firm was restructured as Rausch Funeral Home, P.A. and Bobbi, Bill and his wife Judy serve as officers on the Board of Directors. In February of 2007 the firm opened its third location on H.G. Trueman Road near the former Mill Branch Road intersection in Lusby, MD. This newly constructed facility created, for the first time, a local funeral home in the Lusby/Solomons area that serves the southern part of Calvert County, as well as southwest St. Mary’s County.